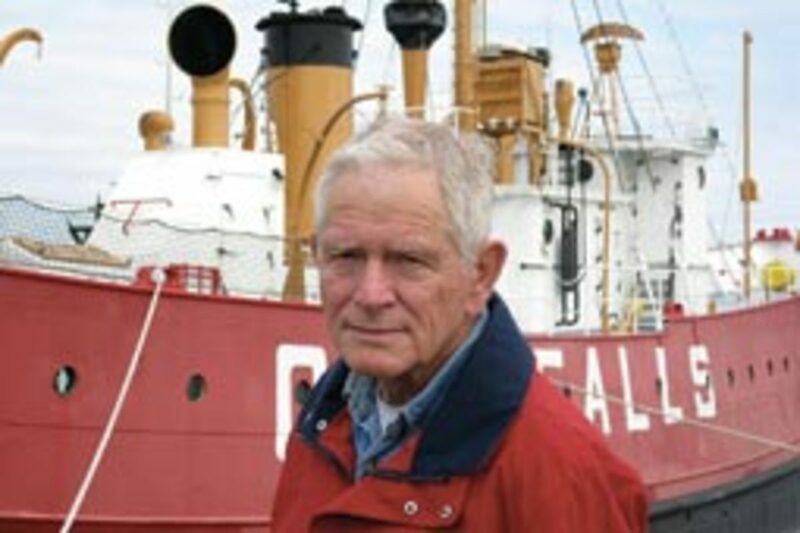 Tuesdays for Bob Gibson mean one thing: rolling up his sleeves and going to work on the Lightship Overfalls. The 72-year-old 114-foot lightship, one of only 17 remaining in the nation, is an ongoing project for Gibson, who is part of The Dirty Hands Gang, a group of 20 volunteers who maintain and continue the ship&apos;s restoration for the Overfalls Foundation in Lewes, Del. "I joined about four years ago," says Gibson, 63. "We usually spend about four to five hours on the vessel every Tuesday morning." 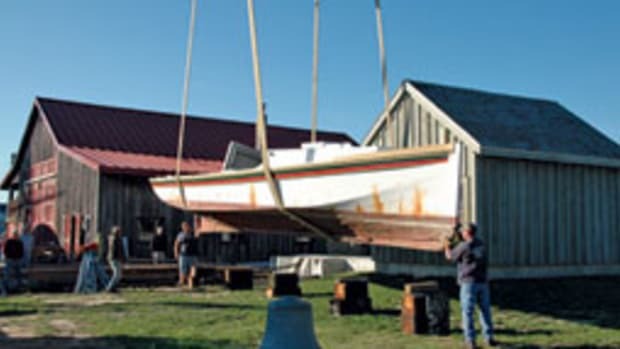 Gibson is not much of a boater, but he does love the restoration process, having worked previously on a 200-year-old house he dubbed "a labor of love" when he lived in Elkton, Md., about 11 years ago. 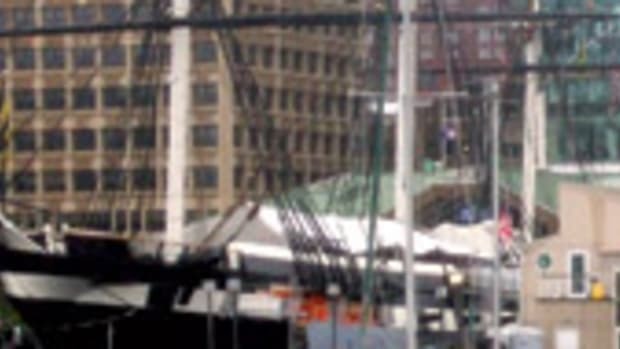 He and the team have a fondness for the ship, which is listed in the National Register of Historic Places and is a candidate for designation as a National Historic Landmark. "There has been an enormous amount of time and effort put into this and the group really has been dedicated to seeing the resurrection of the ship," says Gibson. About 179 lightships were built between 1820 and 1952 and she is one of seven still open to the public, according to the Coast Guard. She served as a floating lighthouse in waters that were too deep or otherwise unsuitable for lighthouse construction, residing from 1938-1957 in Cornfield Point in Old Saybrook, Conn., 1958-62 on Cross Rip in Massachusetts, and from 1962-72 in Boston. The lightship first arrived at her current home port of Lewes, Del., in 1973, having been donated to the Lewes Historical Society after being retired from the Coast Guard. Once she reached Lewes, however, she docked there with little maintenance for almost 30 years. "By 1999, she was a rust bucket," says Dave Bernheisel, president of the Overfalls Foundation. "In 2001, the society sold her to us for $1 to restore her." 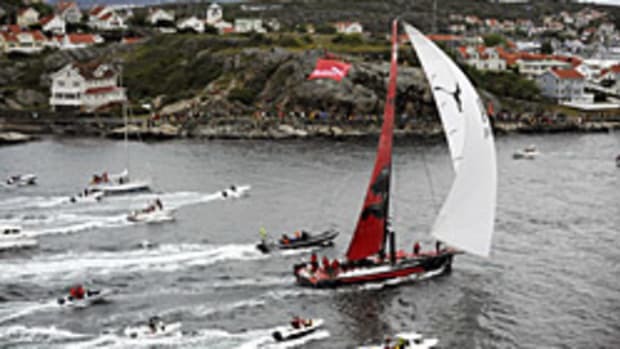 The group, founded in 1999, gradually began raising funds to restore the vessel. Over time, much of her interior was cleaned, painted and replaced. The exterior hull was repainted and the portholes were replaced. Recently, Bob Gibson and The Dirty Hands Gang have been able to take a break from their usual Tuesday ritual as the last step in the 10-year restoration plan - building a new permanent berth for the lightship - is now becoming a reality, according to Bernheisel. The berth is being constructed in the Lewes and Rehoboth Canal. Kuhn Construction of Hockessin, Del., began work March 17. The completion is scheduled for June 15. The total cost of the project is estimated at $550,000, of which $400,000 is funded through the federal American Recovery and Reinvestment Act and the remaining $150,000 is to be raised by the Overfalls Foundation. Meanwhile, maintenance on the lightship has been halted for the time being. "They are literally building the new slip around her," says Bernheisel. "It&apos;s great to see this last step in progress." 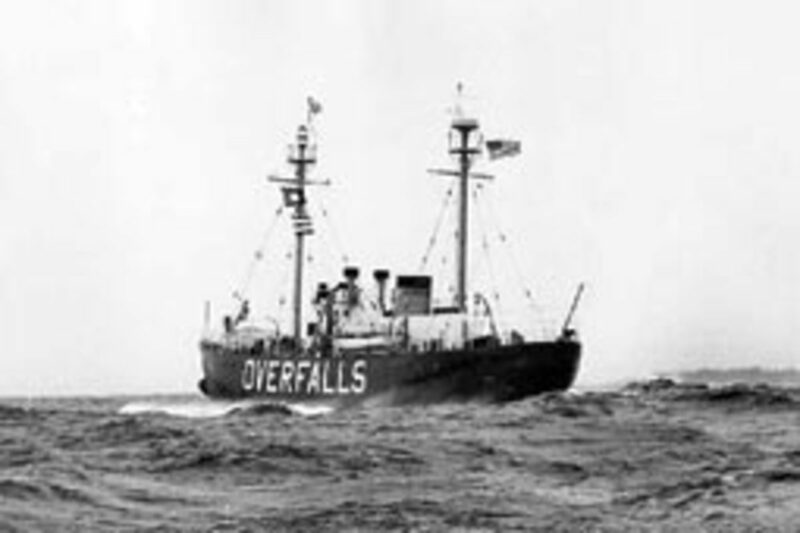 Overfalls spent seven months in 2009 having her steel hull replated at a cost of $300,000 at Colonna&apos;s Shipyard in Norfolk, Va. Since her Cooper-Bessemer eight-cylinder 400-hp engine isn&apos;t functional, she was towed back to her Lewes home at no cost by the Wilmington Tug company. The steel, valued at $50,000, was donated by Evraz Claymont Steel in Claymont, Del. The cost of the paint by the shipyard was $12,000, and engineering and other professional services cost $110,000. The money was raised through local and federal grants as well as individual support. 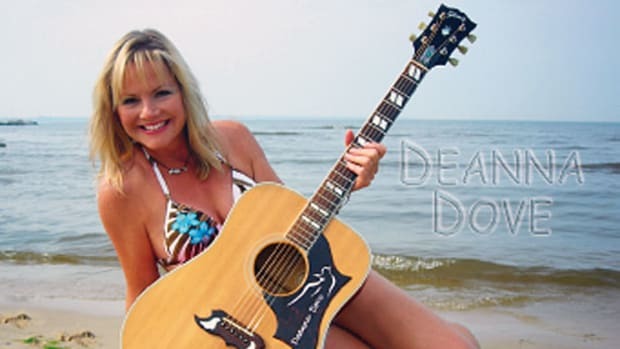 "She has been sitting in the mud in that berth for almost 30 years," says Gibson. "With the tide, her hull would get wet and then dry in the air and over time it rusted pretty badly." After returning to Lewes with the hull repairs complete, all of the mooring cables have been replaced, 28,000 pounds of ballast were removed from the forward engine room bilge area, the engine room was cleaned and repainted, the second level of the ship&apos;s deck was repainted from bow to stern, and the electrical system for the beacon was completely replaced, according to a November 2009 report from The Dirty Hands Gang. An estimated 2,275 hours of volunteer time was put into the ship in 2009 - a total of 15,365 hours since 1999. Bernheisel says the total cost of the reconstruction effort has added up to $1.5 million, a long way from the $1 the foundation spent to acquire the neglected vessel. "One of our problems is that we&apos;re not good historians; as she looks better and better, we tend to forget how she used to look," says Bernheisel. "Still, it&apos;s a great thing and a great feeling as far as having the support we have gotten, since all of our members are volunteers." 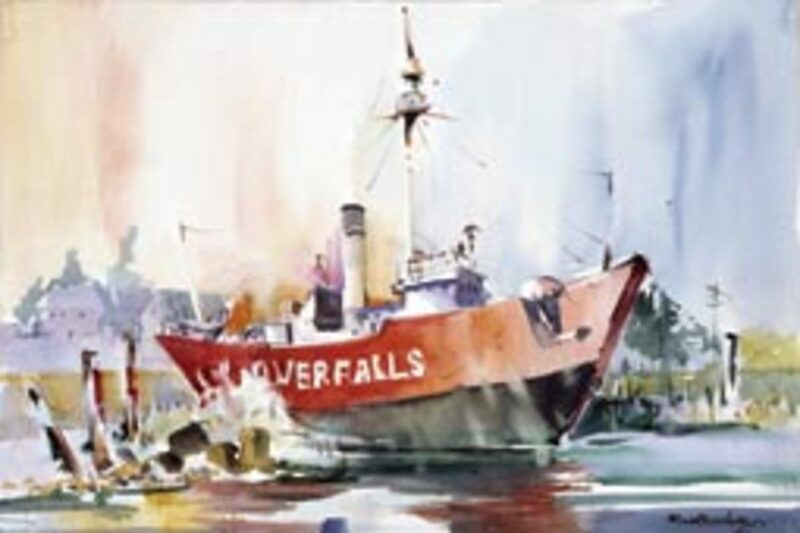 • Overfalls was built in 1938 at Rice Brothers Shipyard in East Boothbay, Maine, and was stationed mostly in New England, her last working post being in Boston Harbor. • She is 114 feet and weighs about 422 tons. • Her engine is a non-functional Cooper-Bessemer 400 hp with a maximum speed of 9 knots. Her fuel capacity is 10,500 gallons of diesel that sit in 10 fuel tanks. • Electronics include dual 375mm electric lens lanterns on her beacon located 57 feet above the water line that flashed every three seconds at night, making her visible for 12 miles on a clear night. • She typically had 14 crewmembers, with between seven and nine crew on board at any given time. • Her main anchor was 7,000 pounds, her auxiliary anchor 3,000 pounds.